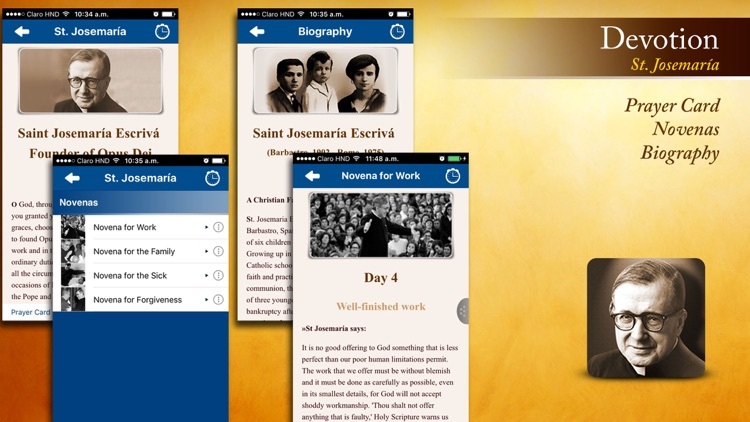 This application will help you live your Christian faith in your ordinary occupations and follow a personalized spiritual program with the hand of St. Josemaría. 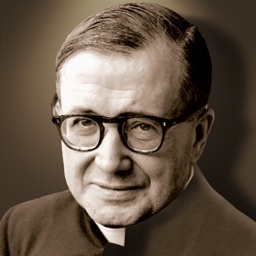 • Books by St. Josemaria (The Way, Furrow, The Forge, Friends of God, Christ is Passing By, Conversations, Way of the Cross, love the Church and Holy Rosary). 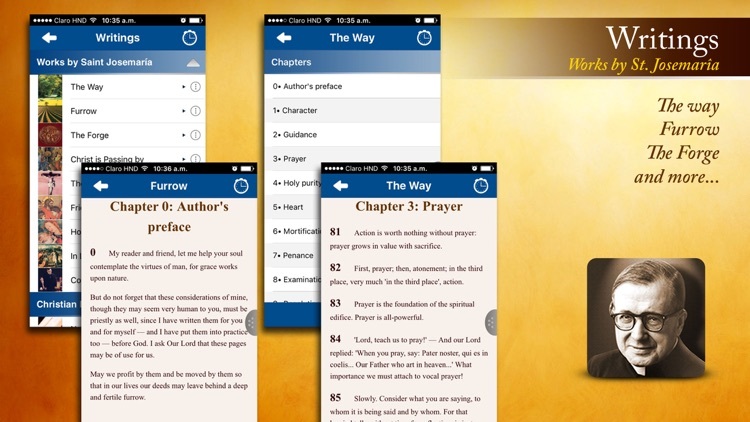 With a Chapter list and search capability. 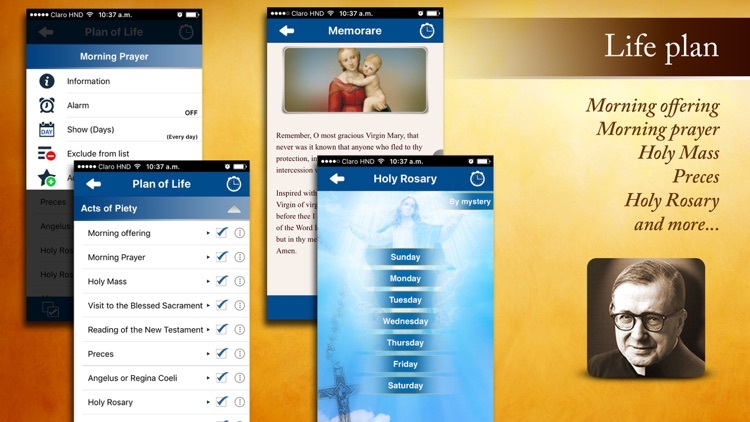 • Listing of Piety Practices you want to live each day (Mass, prayer, spiritual reading, gospel, Angelus ... and more). • You can modify your Plan of Life, erase or add. 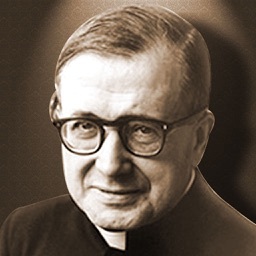 • Download the monthly letter of the Prelate of Opus Dei (7 languages). 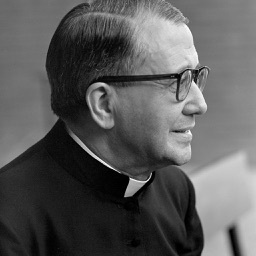 • Prayers to saints, blessed and people in the process of canonization with their biographies. 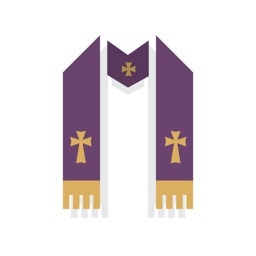 • Includes many prayers in Latin. 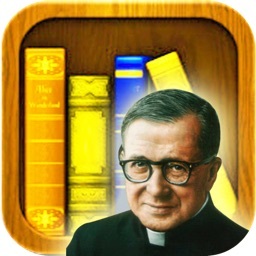 • Available a selection of videos about St. Josemaria and gatherings with him. 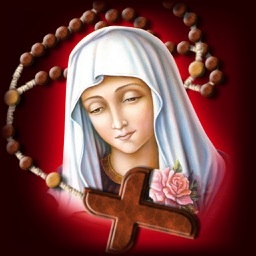 • Prayer of the Holy Rosary with easy controls. • Way of the Cross with 14 stations and acceptance prayer of death, illustrated with images and colorful images. 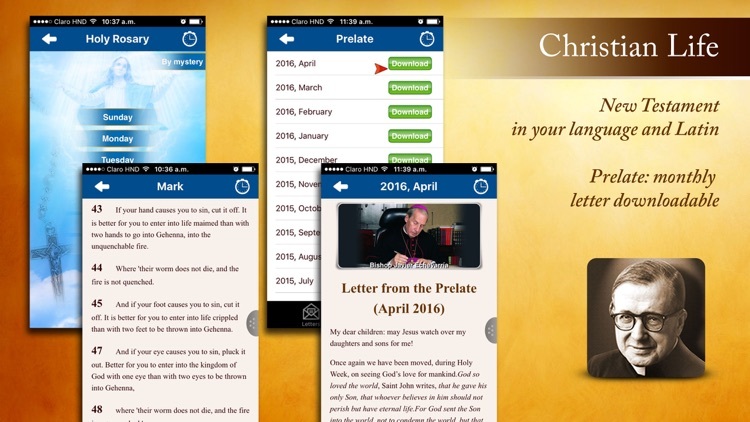 • Adjust font size and style throughout the application to accommodate your visual preferences. 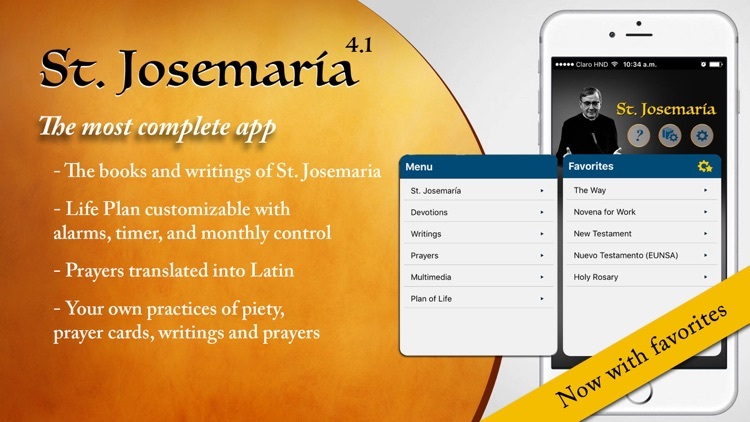 The Studium Foundation who has the copyright rights of all St. Josemaria’s writings granted EBS permission to include his writings in this application.